Flying coasters are just a gimmick and the only one that was done well is the one at Sea World where you're right over the water imo. Why have blood rush to your head if it's not the result of g-forces? I like Manta, but Tatsu is the best flyer of the bunch IMO, I got my first two rides in on it back in October. Leaving me with only two B&M credits to get in North America. Flight Deck at Great America, I was too fat for a regular seat and it has NO "big boy" seats (I've lost 20 lbs. since then, so maybe next time). Then Goliath at LaRonde, which was closed for the day for maintenance on my only visit. Hopefully, I can pick it up next year. The back row on both coasters are very intense going through the pretzel loop. I thought the positive G's were going to pull my sternum out of my body on Manta, but that's nothing compared to the positive G's on Tatsu in the back row. It's seriously the one ride that's too intense for me in the back row. I had to experience it at least once, but I couldn't do it more than once a visit. This might be spot on. Thunderbird is the best Wing coaster I've been on, it actually feels like you are flying, unlike Wild Eagle and GateKeeper, where the car just happens to be on the side of the track. Not saying they are not fun (GateKeeper was fun when I rode in July), but I like T-Bird more). 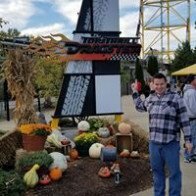 One reason I'm excited for Holiwood Nights next year is I plan on getting more ERT on T-Bird than I did this past year (being my first one, the focus was on Voyage and Legend). Plus, I'll get to feel like Porco Rosso* in his seaplane during that launch out of the shed! *Porco Rosso is a movie I recently saw that I'm sort of obessessed with at the moment lol. You can see my review in the movie thread, but basically it's about a seaplane pilot bounty hunter who had his face turned into a pig. Any chance the park gets something besides a B&M giga for 2020? Like two additions in the same year? Maybe some sort of aesthetic addition, such as how the park added a shaded area and the Chicken Shack the year they debuted Banshee. I would like a giga coaster like Fury 325, but taller. I'm going to say a Giga Coaster, I think Kings Island really needs one at this point. While I lean heavily towards a giga coaster, I still think a floorless is still entirely plausible. I agree but the question remains- B&M Floorless or RMC T-Rex? ^What do you mean? 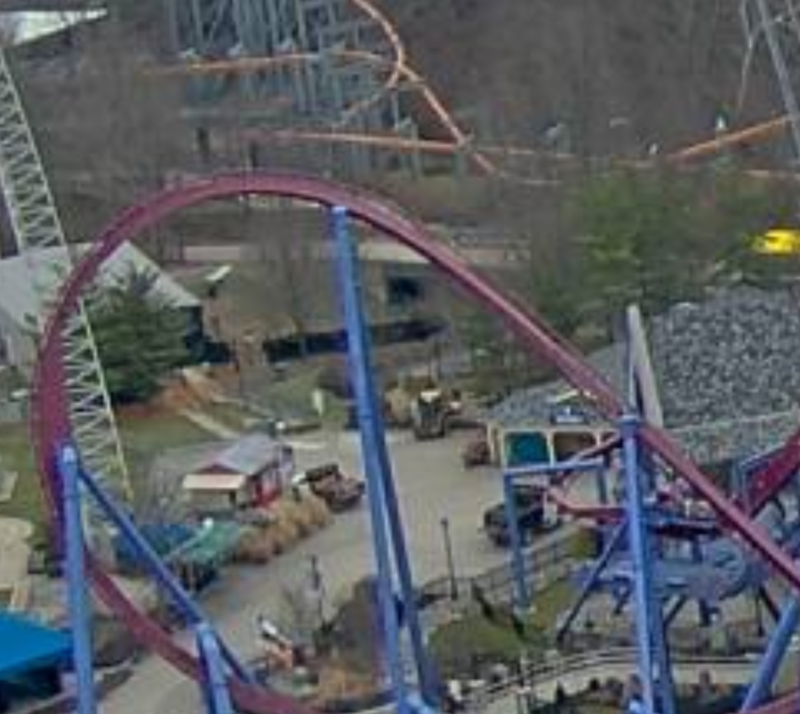 We know for certain its a B&M. I mean in general, regardless of time or documents, would you rather have a B&M Floorless or an RMC T-Rex? I think a new coaster is a good idea, but I think the park would benefit more if the added another new family ride (such as a new Ferris wheel of a resurrected sky-ride). In a vacuum, I believe flying coasters are generally pretty fun rides, but that their capacity, reliability, and maintenance issues serve detrimental to their respective parks. Which is why, while I do miss Firehawk, I would not want Kings Island build another one anytime soon. Even if B&M were to propose some revolutionary loading/operating system that'd claim to significantly alleviate these issues, I would not want KI to roll the dice on that. We've had enough failed prototypes in KI's history, I'd hate to see another one, especialu tried on a concept we've already had before. I'd trust B&M with any prototype. All of their first coasters of each type they've introduced performed well. They do their homework when developing rides and have a stellar track record in terms of reliability. B&M flyers do have a bit better of capacity and can also have duel loading stations like Firehawk did, but like their dive coaster cousins IMO, aren't very exciting unless KI goes for a decently large one. Superman: Ultimate Flight at NJFTP is my least favorite B&M. ^That is a fair point. B&M doesn't have much of a history with failed rides. I guess what I really mean, is that I just don't see any practical way ANY manufacturer can alleviate the negative externalities brought by flying coasters. I-spy a bobcat, flatbed truck, and a dump truck. All working near the old S.O.B station. My first thought was they're being used for the Winterfest teardown but why the bobcat? Am I crazy or is there some grading happening next to the dark maze building? ( Bobcat is in between the two trucks near The Bat exit) Does anyone know what's officially going on here? I've been hearing rumors that they are going to tear down the SOB station so that they don't have anything related to SOB. If that's the case then why didn't they just tear it down in 2013 with the rest of the ride? They've been using it for Wolf Pack, why tear it down? There has been much activity where SOB used to be. I've been watching the webcam daily. It's cool seeing the trucks haul out Firehawk too. Is there currently any track still residing in the Son of Beast station? Theres always activity there. So you will never know if it's just the usual or actually for a ride. You can see the track on the entrance side of Wolfpack. So *technically* Son of Beast is still standing? I'm on board for a B&M Giga or Floorless roller coaster. People will think I'm weird for saying this, but I really enjoy Rougarou a lot at Cedar Point. Would love for something like that to come to Kings Island one of these years. Didn't much enjoy Rougarou, but Dominator at KD is fantastic. I wouldn't be upset to see a Floorless at KI.